Eddy flux at foggy farm! 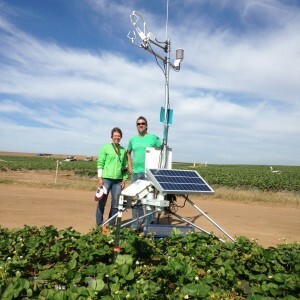 Sara and Andrew with eddy flux tower. 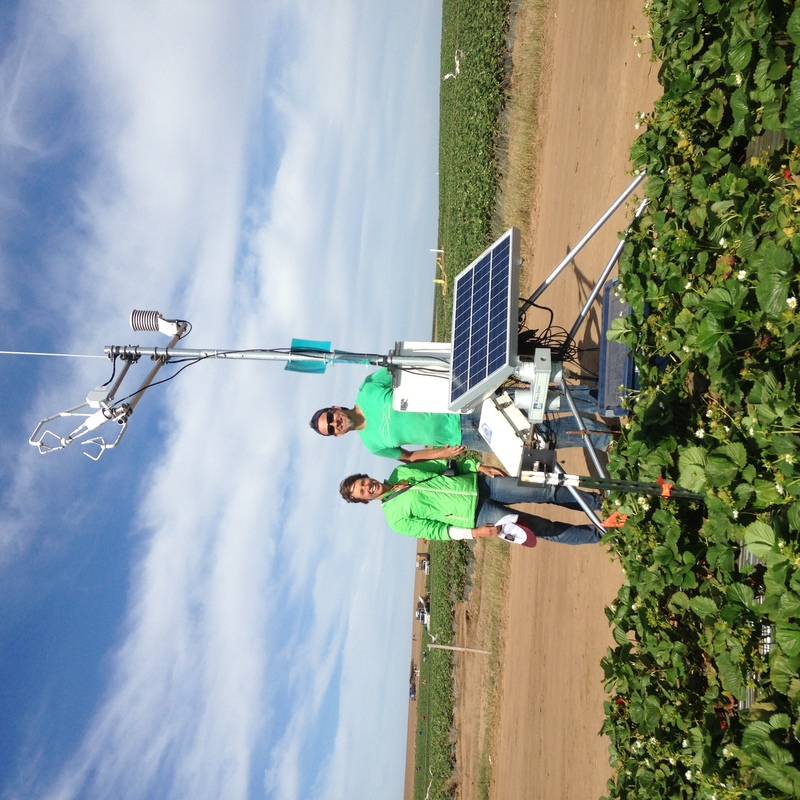 Sensor network is used to measure the energy balance of an ecosystem. 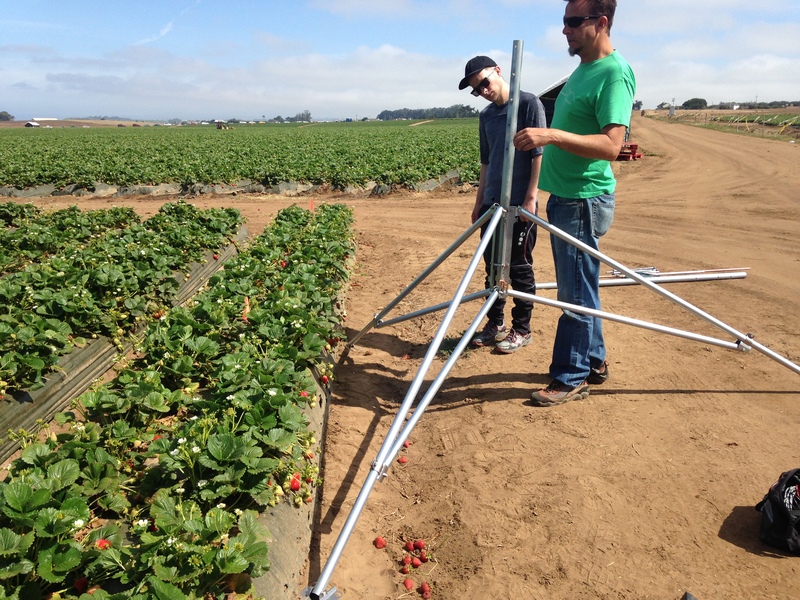 We are investigating how coastal fog impacts carbon and water fluxes from strawberry fields! Darren, M.A. student with Andrew at SFSU, and Andrew evaluate tower placement. This entry was posted in Uncategorized on June 11, 2016 by Sara Baguskas. Moderately wet drizzle this am, but only ~15 mL of sample at UCSC. System came on at 0445 this am. Still on at ~10:00. I am thinking of modifying to a more upward facing system. Surprised by ~100 mL of clear fog water (with one small fly). 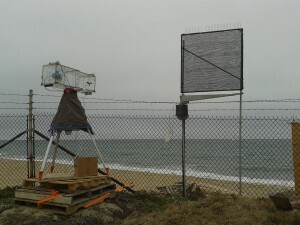 Was cloudy but dry at my house so surprised to see there was wetness at UCSC. System cleaned and blank taken. Many strands broken. Another drippy night and another sample not collected. Program froze probably due to bad RH sensor. Intermittent. I replaced it with a used one, but will wire up another one and replace soon. Otherwise, triggering process appears to be working normally. 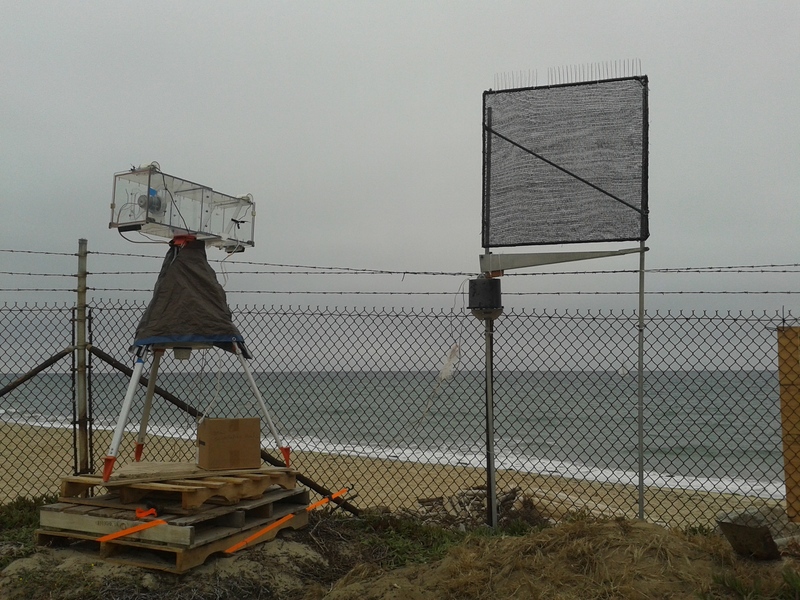 Moss Landing Marine Labs Shore Facility site on a lovely day in June (cold and windy).